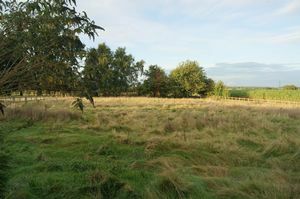 Total Plot 1.2 Acres approx. 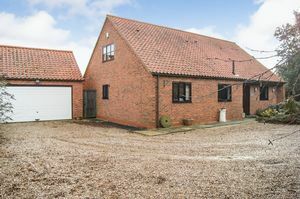 Park Edge Cottage is a delightful unique four bedroom detached family home situated at the end of a quiet close. 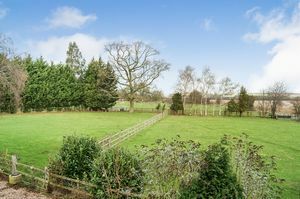 The property stands on a TOTAL PLOT of approximately 1.2 Acres (subject to survey), which includes two fenced paddocks with a combined area of approximately 1 acre (subject to survey), ample off road parking and gardens to the rear. 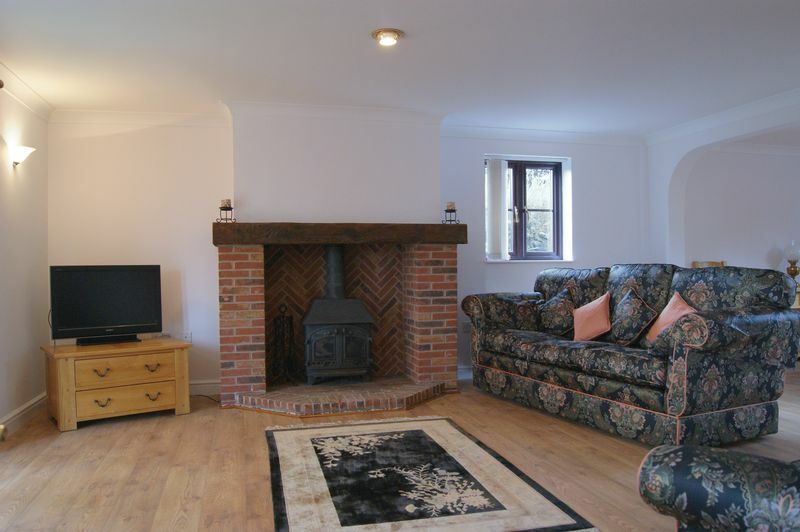 In addition to the four double bedrooms, the property has an excellent sized lounge/diner, a breakfast kitchen, a conservatory and a double garage. Early viewing is strongly recommended to appreciate this highly desirable home. NO CHAIN. 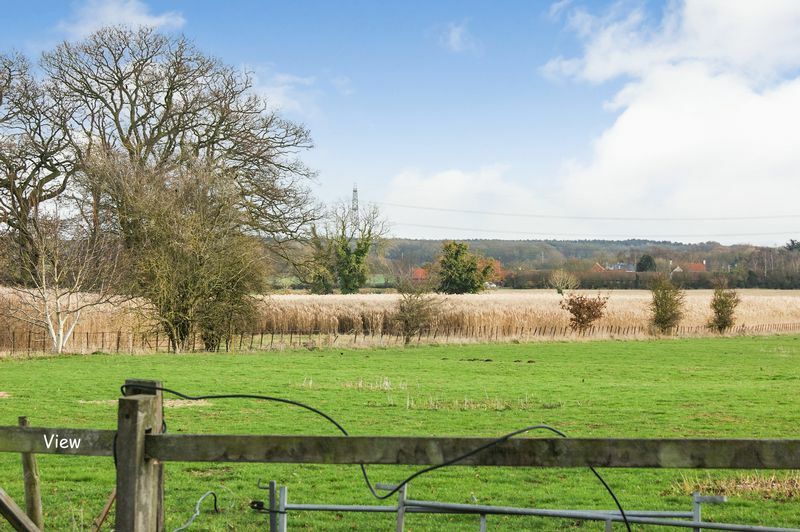 Coddington is located approximately two miles from Newark town centre and provides amenities including a church, public houses and a well respected and sought after primary school. Newark boasts amenities including the Palace Theatre, bowling alley and cinema. There are excellent shopping facilities in the town including major retail chains and supermarkets including Waitrose. For the commuter the A1 offers easy access to the north and south of the country. There is a DIRECT LINE RAIL LINK FROM NEWARK NORTHGATE STATION TO LONDON KINGS CROSS WHICH TAKES FROM AROUND 80 MINUTES. The welcoming and spacious 'L' shaped reception hallway has the staircase rising to the first floor, a window to the front elevation, and provides access to all of the ground floor accommodation. The hallway is complemented with wood laminate flooring, cornice to the ceiling, and both recessed ceiling spotlights and wall light points. There is also a radiator installed. 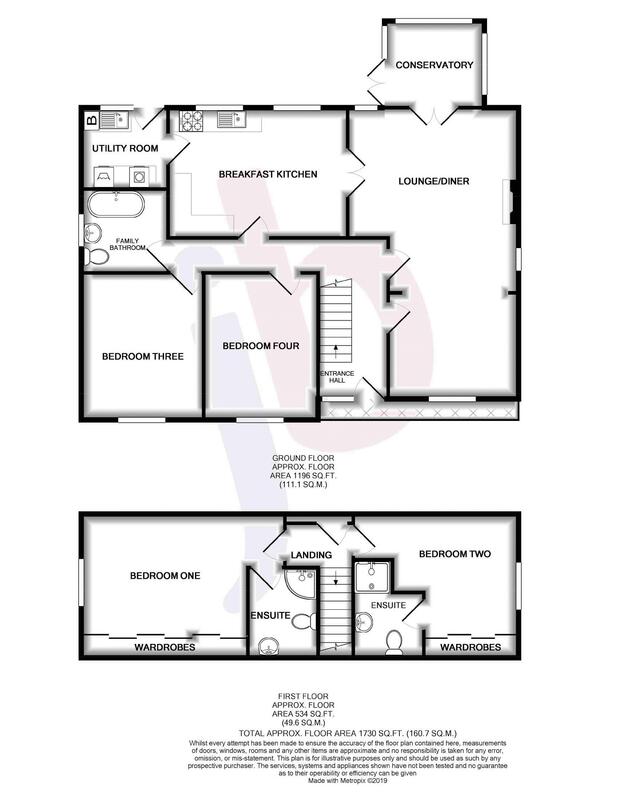 This fabulous reception room is 'L' shaped in design and has triple aspect windows to the front, side and rear elevations, French doors leading into the conservatory and a further set of French doors into the breakfast kitchen. The focal point of the lounge/diner is the brick fireplace with log burning stove inset. 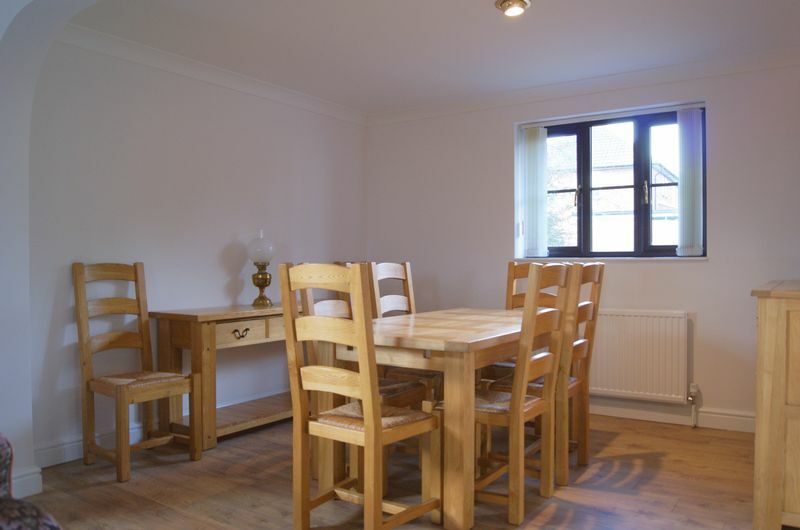 The room is further enhanced with wood laminate flooring that flows through from the hallway, cornice to the ceiling and both recessed ceiling spotlights and wall light points. The lounge/diner also has three radiators. 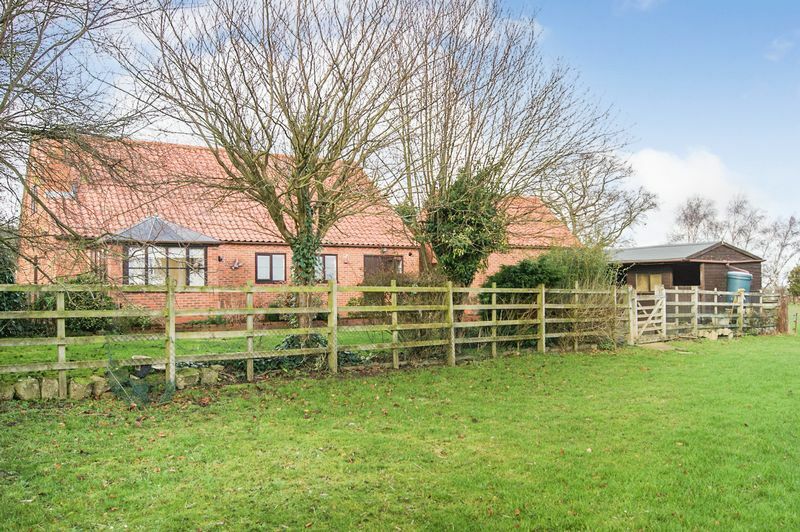 This excellent sized breakfast kitchen has two windows to the rear elevation overlooking the garden and open countryside beyond. 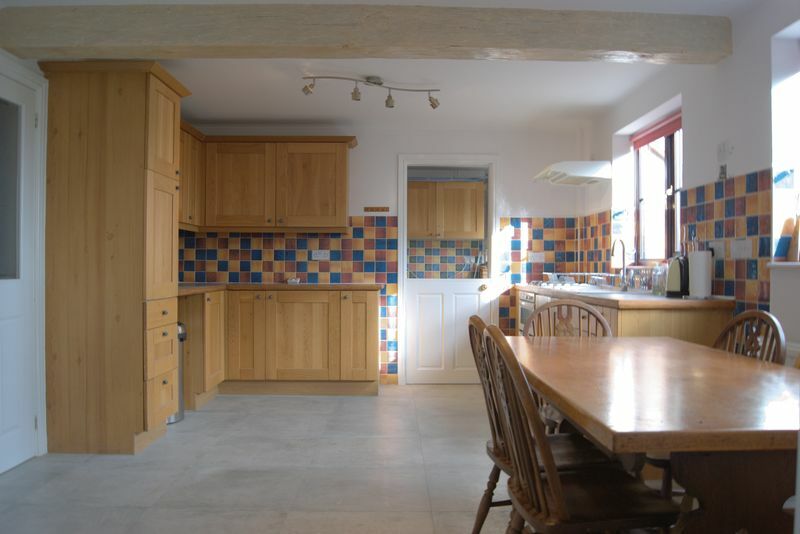 The kitchen area is fitted with a comprehensive range of solid wood base and wall units, with contrasting work surfaces and tiled splash backs. There is a one and a half bowl sink, and an integrated double oven with gas hob and extractor hood above. 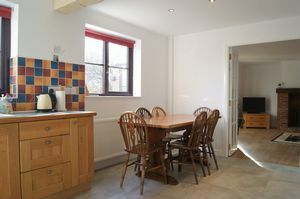 The breakfast kitchen is of sufficient size to accommodate a further dining table, and has a tiled floor, an exposed roof beam, cornice to the ceiling, a radiator and both recessed ceiling spotlights and a ceiling light point. 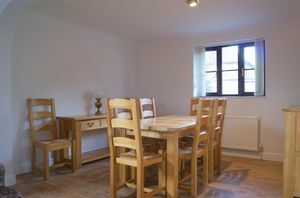 From the kitchen there are further doors that lead back into the inner hallway and through into the utility room. The utility room has a window to the rear elevation and a door leading out into the garden. The utility is fitted with base units to match those of the kitchen, with roll top work surfaces and tiled splash backs. There is an integrated sink and space and plumbing for a washing machine, dishwasher and a tumble dryer. 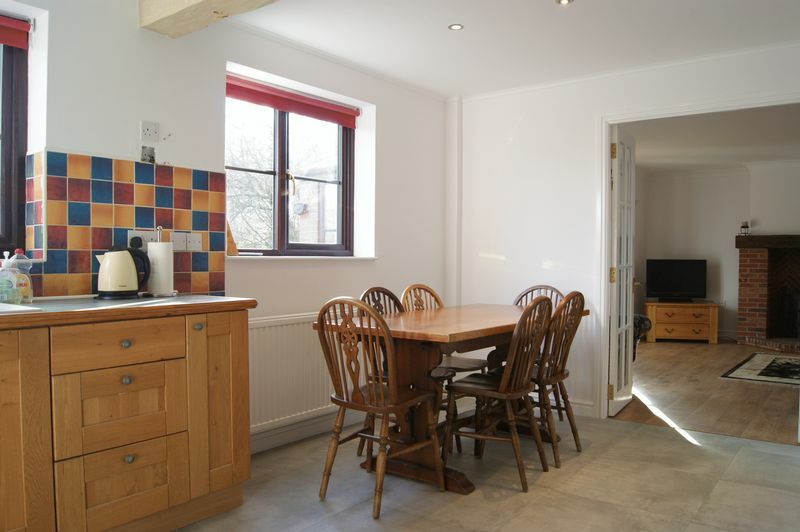 The utility room has the same tiled flooring as that of the kitchen, a recessed ceiling spotlight and a radiator. The central heating boiler is located within the utility room. 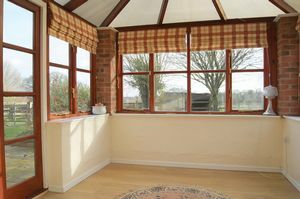 The conservatory is accessed via French doors from the lounge/diner and has triple aspect windows looking out over the garden, stables and countryside beyond. A further set of French doors lead out to the patio area. The conservatory has wood laminate flooring and bespoke fitted blinds. An excellent sized double bedroom located on the ground floor, with a window to the front elevation overlooking the driveway. The bedroom also has cornice to the ceiling, a recessed ceiling spotlight and a radiator. 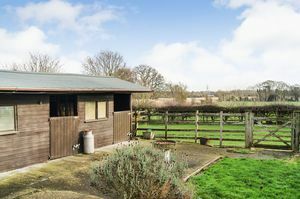 Bedroom four is also located on the ground floor, is of an excellent size and has a window to the front elevation overlooking the driveway and paddock. 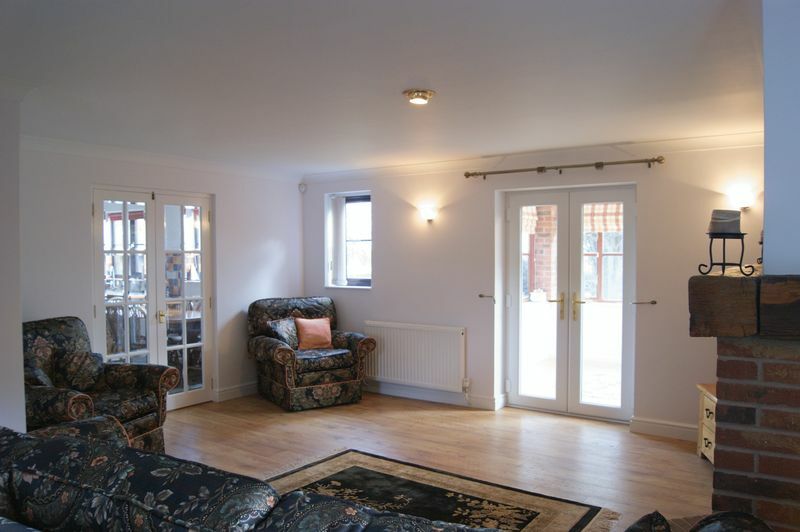 This room has cornice to the ceiling, a ceiling light point and a radiator. The ground floor bathroom has an opaque window to the side elevation and is fitted with a white suite comprising bath with shower mixer tap attachment, pedestal wash hand basin and WC. 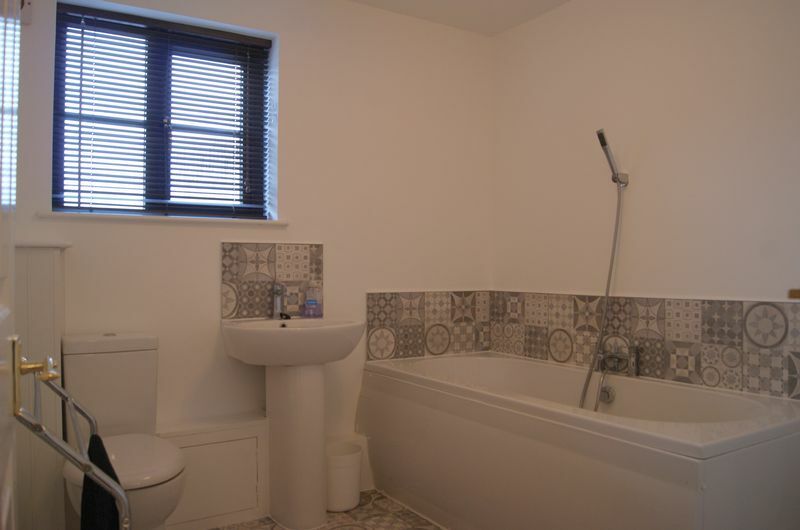 The bathroom has a ceramic tiled floor, a ceiling light point, an extractor fan and a radiator. The staircase rises from the entrance hallway to the first floor landing which provides access to bedrooms one and two. In addition access to the roof space is obtained from the landing, and there is also a useful storage cupboard located here. 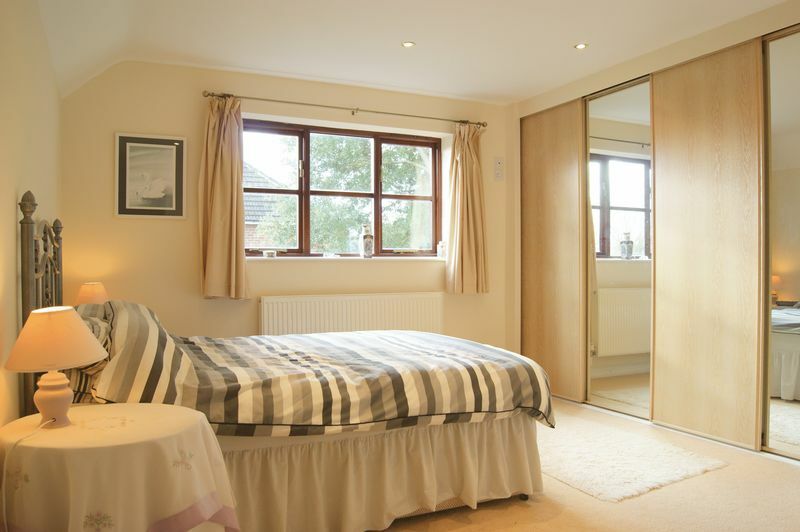 A fabulous sized double bedroom with a window to the side elevation. From this bedroom there are delightful views across the two paddocks and countryside beyond. 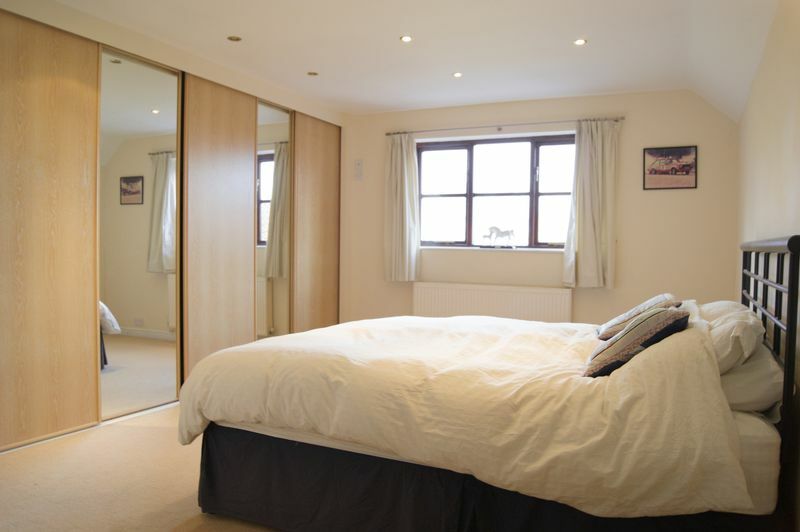 This bedroom benefits from having a comprehensive suite of fitted wardrobes with sliding doors, and is further complemented with recessed ceiling spotlights. In addition there is a radiator and a door into the en-suite shower room. 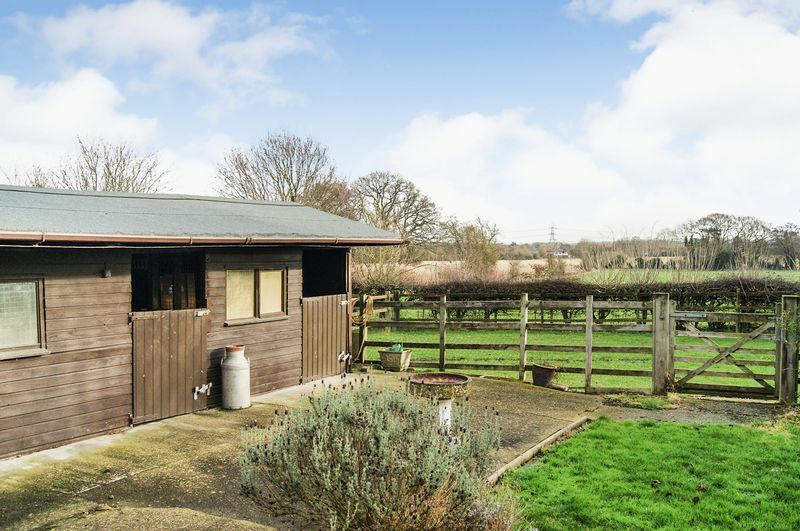 The well appointed en-suite is fitted with a walk in shower cubicle with mains shower and curved shower screen, pedestal wash hand basin and WC. The en-suite has ceramic floor and wall tiling, recessed ceiling spotlights, an extractor fan and a radiator. 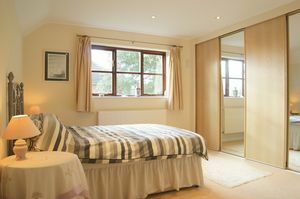 This is a further very good sized double bedroom with a window to the side elevation. 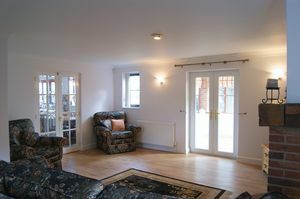 This room also has a comprehensive suite of fitted wardrobes with sliding doors. 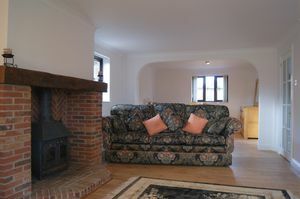 In addition there are recessed ceiling spotlights and a radiator. A door leads into the en-suite shower room. The en-suite is fitted with a walk in shower cubicle with mains shower, pedestal wash hand basin and WC. 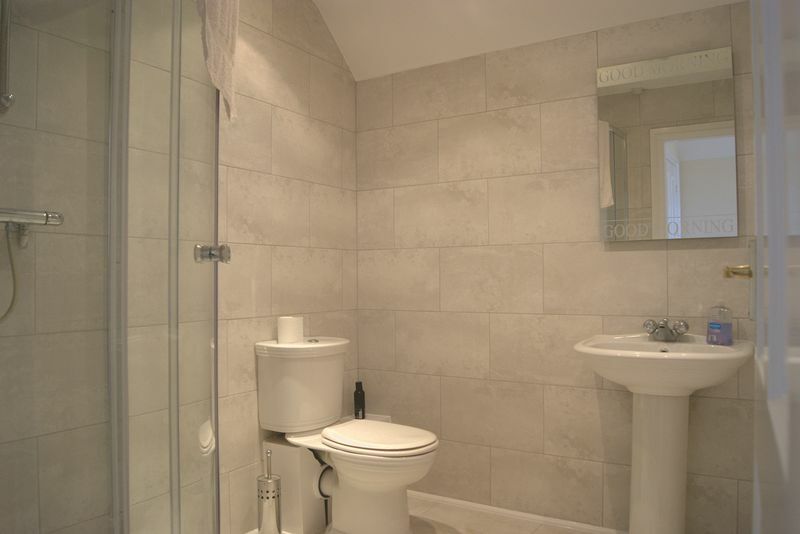 The en-suite has ceramic wall tiling, recessed ceiling spotlights, extractor fan and a radiator. 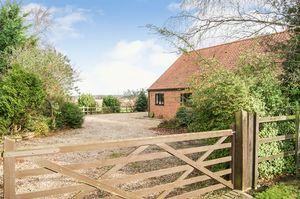 Park Edge Cottage is approached via a five bar gate which leads onto the sweeping gravel driveway providing off road parking for numerous vehicles. The driveway in turn sweeps around the property to the detached double garage. 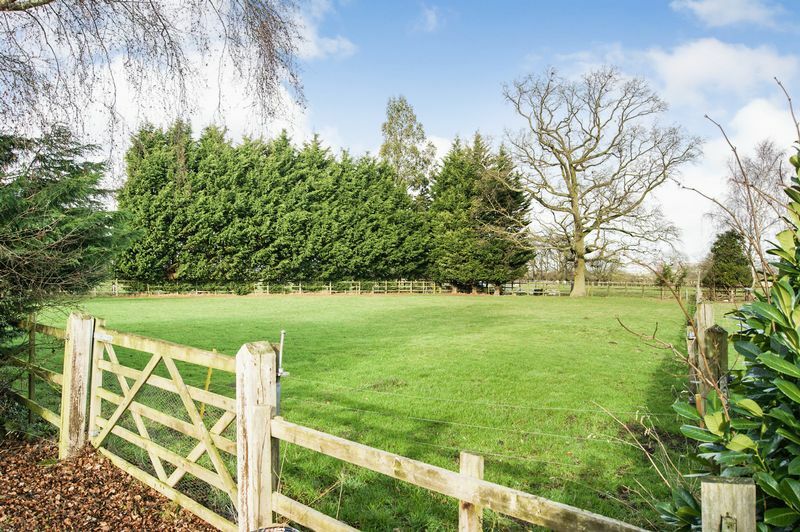 There is gated access either side of the property which lead around to the rear garden. The garage has an up and over door to the front elevation, and a personnel door to the side. The rear garden is laid to lawn and contains a wide variety of mature shrubs and plants. 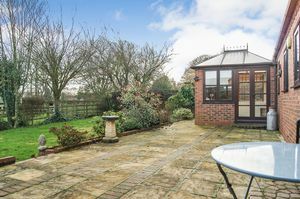 There is a sizeable patio area which runs the full width of the property, and this provides an ideal outdoor seating and entertaining space. 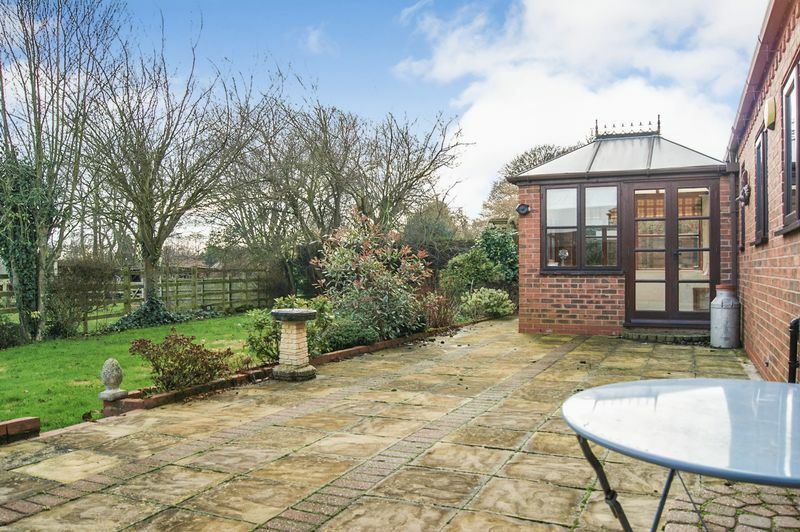 The rear garden enjoys a high degree of privacy. 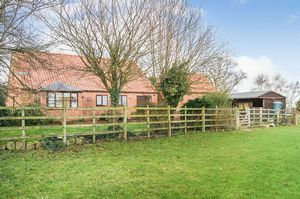 Located adjacent to the rear garden is the stable block. From the rear garden there is gated access around to the paddocks. 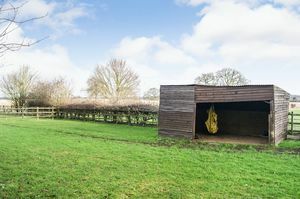 The stable block comprises of two individual boxes. The boxes are equipped with lighting. Located within the paddocks there is a timber shelter. The paddocks are sub divided and both enclosed with post and rail fencing. There is a further five bar gate that provides access back through to the gravel driveway.